It’s in Texas but you will think you are in Cabo. Stone, cedar and a red tile roof make this a pool cabana second to none. The cedar arbor provides shade in the hot summer and is the perfect transition between the pool cabana and the vanishing edge swimming pool. 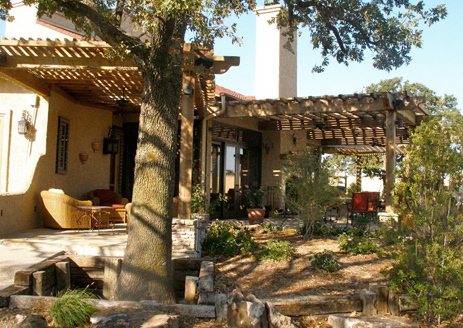 This custom home was built right on the Parker County and Palo Pinto County line. This entry was posted on Monday, May 16th, 2011 at 1:46 am	and is filed under Exterior. You can follow any responses to this entry through the RSS 2.0 feed. You can skip to the end and leave a response. Pinging is currently not allowed.